Playonpro is the only pro sports network by the players for the players. Our aim is to maintain their professional profile and value after retirement – and this explains our re-brand from playon to playonpro. Only 6 months after launch our ambassadors boast more than 500 major trophies, 6,000 international caps and 80 million social media followers so you can imagine their brand value! Many of our ambassadors are looking for opportunities to work with relevant brands through digital content, corporate engagements or other commercial work. This means Playonpro can offer our brand partners a route into the lucrative sports market without all the red tape and therefore at a fraction of the cost of regular sponsorship. To connect your brand with a fan base who grew up with playonpro stars as their heroes simply contact us here and we will put together a bespoke solution to meet your needs and your budget. Playonpro bringing you closer to your heroes. 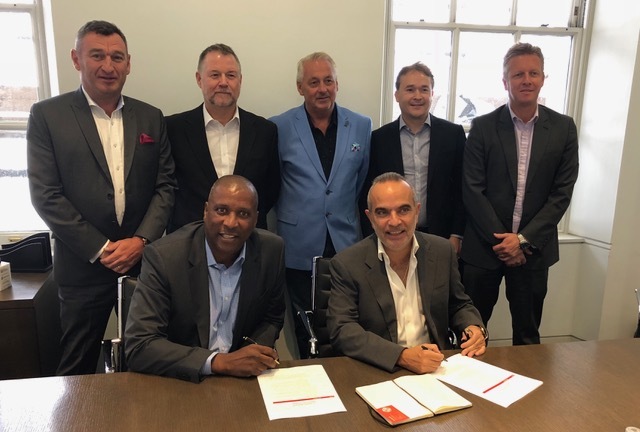 Playonpro and REDSTRIKE sign the deal to support retiring professional sports men and women. Playon addresses a need of sports professionals which so far has been ignored or at best only partially addressed. The sports industry is awash with ex-players who hit the rocks shortly after retiring from their sport. Almost half of Premier League footballers face the threat of bankruptcy within five years of retirement. Through its extensive network of current and former players and managers, understanding of the needs of players and ex-players and the use of the latest financial and social media tools, playonpro has been able to address the causes and offer solutions. Playonpro attempts to bridge that gap. Playon provides ex-professional sports people with opportunities and a platform to thrive after retirement. Through our series of events and tournaments, and our playonPRO app we become #StrongerTogether. playon ambassador Mikaël Silvestre talks local school children through training drills. David James high fives a local school child after an impressive play. Mikaël Silvestre nutmegs a defender in a competitive match. I played for 17 years, I've been retired 20. And I'm only 53. So I completely get the playon concept! Trevor Steven, ex-Everton, Marseilles, Rangers and England. Playon Commercial Director. Alen Gernon, Author of Retired: What happens to footballers when the games up discovered that almost half of Premier League footballers face the threat of bankruptcy within five years of retirement. A third will be divorced within a year of hanging up their boots, rising to 75 per cent within three years. With little or no support from the game to which they gave their lives, many end up addicted, depressed, living with debilitating illnesses, behind bars or even worse. While elite few may be financially secure, or others may land plum managerial jobs or punditry roles, it transpires that for the majority retirement is something that they’re not prepared for and lives can spiral into a rapid and depressing decline. Problems encountered during retirement from professional football are not standalone issues. This loss of identity may lead to divorce, which in turn leads to financial problems. Financial problems can lead to mental health issues. They are all interlinked. 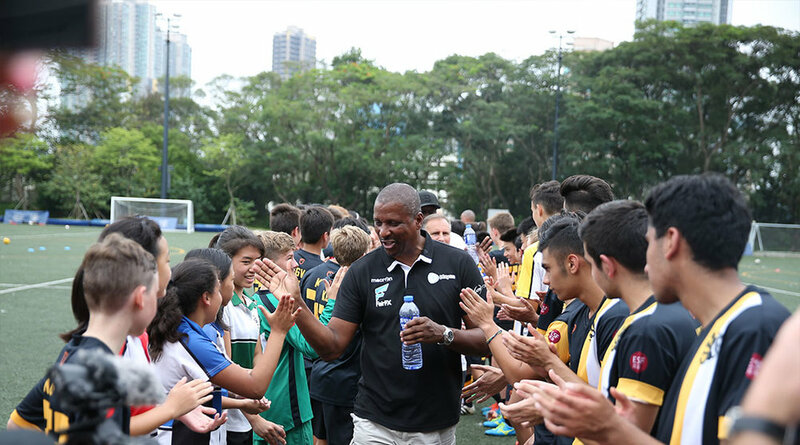 Playon aims to help combat these issues by offering retired footballers the opportunity to continue playing competitively after their professional career ends. Buy Retired, by Alan Gernon on Amazon. Gary Stevens - England, Tottenham Hotspur, Brighton, Portsmouth.